Sikhism, one of the major religions of the world, is essentially a monotheistic religion founded during the 15th Century by Guru Nanak. Continuing its process of growth and evolution through the 10 successive Sikh Gurus; the 11th Guru being the Holy Scripture, Guru Granth Sahib; this religion has now emerged as the 5th largest religion across the globe, with about 30 million followers. The principal tenet of Sikhism revolves round the concept of "Ik Onkar" or the "Oneness of God". Hence, the religion basically believes in equality and secularity between all the peoples of the world. Sikhism also believes that all religions are equal and that all of them are capable of reaching their followers to the highest levels of enlightenment. Guru Nanak Devji encouraged and inspired people to live a life of honesty, without exploiting others for their own benefit; also to constantly remember the name of God, while carrying on with their livelihood. The term, "Nanak" was used by all the Gurus who came after Guru Nanak and who wrote any sacred text in the Sikh scripture. They all carried forth the message of Guru Nanak and so, they are all referred to as the "Light of Nanak". Each of the ten Gurus of Sikhism, in their own way, made a great contribution to the growth of the religion. While some focused on Bhakti or devotion, others' philosophy centered on Shakti or might, both physical and spiritual. 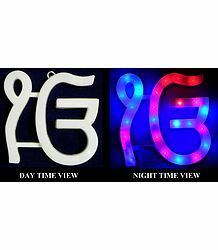 Guru Angad Sahib modified the old Punjabi script and introduced the new alphabet, known as Gurmukhi. He also focused on education and propagated literacy among people of all ages. 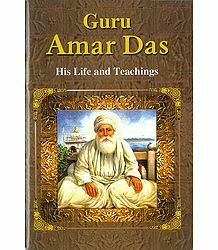 Guru Amardas Sahib strengthened the concept of "Guru ka Langer" and was a strong social reformer as well. Guru Sahib encouraged women to give up the Purdah (veil) system and fought against Sati. Introducing new marriage ceremonies, he also advocated widow remarriage. 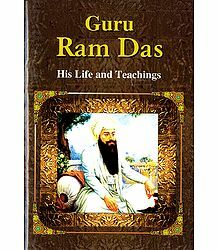 Guru Ramdas Sahib was known for his devotion, piety and eloquence. He laid down the foundation of Chak Ramdas or Ramdas Pur, which is the present Amritsar. He also composed the Four Lawans and advised Sikhs to recite these at the marriages of their children. Guru Arjan Sahib completed working on 2 sacred Sarowars or tanks, Santokhsar and Amritsar. He then completed the Sri Harmandir Sahib as well. Guru Sahib then founded the town of Tarn Taran, also creating a tank and Gurdwara there; and then laid the foundation stone of the town of Katarpur. Followers eventually referred to Guru Sahib as "Sacha Patshah". Guru Hargobind Singh ushered in both a spiritual and political approach to the religion. He wore 2 swords, the Piri and Miri; representing spiritual power and military power respectively. Guru Sahib hence emerged as the "Saint-Soldier" of Sikhism. Learning martial arts and how to use different weapons, Guru Sahib also built a wall around Amritsar City; then also establishing the Sri Akal Takht. 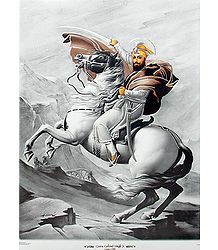 Guru Har Rai Sahib, in contrast, was a man of utter peace, but never once disbanded the Sikh Warriors. Though he never directly participated in armed or political conflicts, he worked to strengthen the Sikh military and even awarded warriors gallantry awards. Guru Sahib also established an Ayurvedic herbal medicine center and research institute at Kiratpur Sahib during his lifetime. Guru Harkrishan Sahib showed great prowess and spiritual power. Once, an illiterate man expounded the philosophy of the Bhagawad Gita, with Guru Sahib's grace. He played a major role in further expanding the growth of the religion. 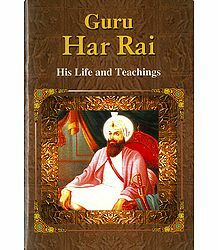 He healed people of their illnesses and was referred to as the Bala Pir or the child prophet. Guru Tegh Bahadur Sahib, even during childhood, spent most of his time in meditation. Later, he showed a clear inclination towards spirituality and selfless service. He worked to improve the backward economic state of poor, landless villagers; also helping them start farming and dairy farming activities. To counter the scarcity of water, he got many community wells dug by the Kar-Sevaks. He also established several preaching centers. Let us now take a look at the lives of the first and the last Gurus of Sikhism – Guru Nanak and Guru Gobind Singh. 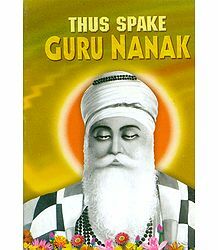 Guru Nanak is the very first of the ten Gurus of Sikhism and is also founder of the religion. His birth is widely celebrated on Kartik Puranmashi, the full-moon day, which falls in the month of Katak, between October and November. Guru Nanak travelled far and wide to propagate the religion and to reach the message of One God; the Eternal Truth and the one who resides in all things. Preaching equality, love, goodness and virtue, he created a platform which was spiritually, socially and politically viable. Sikhs believe that the nine subsequent Gurus who came after Guru Nanak were blessed by the Guru himself, who passed on the essence of his sanctity and divinity to them. Nanak was born to Kalyan Chand Das Bedi (also referred to as Mehta Kalu) and Mata Tripta in April, 1469. His birthplace is now marked by Gurdwara Janam Asthan and his birthday is celebrated as Guru Nanak Gurpurab at Nankana Sahib, near Lahore. Nanak was born with the mission to spread the Divine Message. Right from the tender age of 5, he was interested in discussing the subject of divinity and Godhead. At 7, his father enrolled him in the school village. He is said to have stunned his teachers, discussing subjects of spirituality and finding divinity in the most mundane of subjects. Nanak had a sister, by the name of Bibi Nanaki, who was 5 years older than him. She married Jai Ram in 1475 and left for the town of Sultanpur, where her husband stayed. After her marriage, Nanak went along with his sister to stay at her marital home. He found work with Daulat Khan Lodi, the then governor of Lahore. Nanak then wedded in 1487, to Mata Sulakkhani, the daughter of Mul Chand and Chando Rani, from the town of Batala. They had two sons, Sri Chand and Lakshmi Chand. Nanak's sister and Rai Bular, the local landlord, were the first ones to recognize his divinity. They also encouraged him to study further and undertake travel. At around the age of 30, Nanak had a vision and suddenly disappeared. The locals searched for him, but finding only his clothes at the bank of the local stream, they assumed he had drowned in the river. However, no body was found in the river. Three days after his disappearance, Nanak came back, a different man, proclaiming that all men and all religions were one and the same. Nanak then narrated how he had been taken to God's Court and had been given a cup of amrit (nectar) and had been ordained to spread the word of God. From this moment on, he became a Guru and founded Sikhism. The Supreme Godhead, who is One, manifests as all the major religions. He is formless and undying. Nanak calls upon followers to chant the Naam, or the word of God; to meditate upon the Shabad in the Gurbani, as per the Guru's instructions. He says that the sewa or worship in the above manner should be selfless, with an intent to purify oneself, understanding that God is the Doer, doing away with one's ego in the process. Nanak rejected the idea of performing ascetic practices in order to attain God. He opined that if one remained spiritually detached from the material world, one could attain liberation even by living as a householder. Naam Japna: Meditating on God's name in order to control inner evil; thereby also eliminating suffering. Guru Nanak stayed on in his hometown for a year and preached to the residents there. He then undertook much travel during his lifetime, in order to spread his teachings. While there are no exact records of his travel itinerary, he is believed to have undertaken four major journeys, which ranged over thousands of kilometers, covering the length and breadth of India and abroad. His first tour covered Bengal and Assam; the second towards Sri Lanka; the third one going towards Kashmir, Ladakh and Tibet in the North and the final fourth tour towards Baghdad, Mecca, Medina. After spending time in Arunachal Pradesh, he went to Lhasa (Tibet), crossing through Bhutan, entering Tibet from Samdurang Chu. He then re-entered Arunachal Pradesh, stayed in Pemoshubu Menchukha and meditated at this place. He travelled back and forth between Tibet and Arunachal Pradesh, spreading the word of God. Most of Nanak's journeys were undertaken by foot, along with his companion, Bhai Mardana, a Muslim minstrel. During his travels, he visited several centers of Hinduism, Islam, Buddhism and Jainism and met many Sufis, Yogis and Siddhas. Collectively, his travels are termed as Udasis. He then returned home to his village, Talwandi, after 6 years of traveling. His parents wanted him to stay with them, but he refused, saying had to complete his mission. His parents blessed him, also giving him permission to leave. 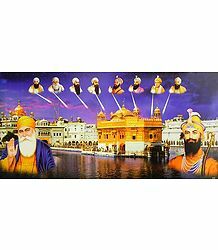 He then laid the roots of Sikhism toward the Eastern part of India. Nanak appointed Bhai Lehna as his successor, also naming him as Guru Angad, meaning, "one's very own". Shortly after that, Guru Nanak left for his heavenly abode on 22 September, 1539, in Kartarpur, Pakistan. He was 70 years old. Guru Gobind Singh, the tenth Guru of Sikhism, was born in December 1666. 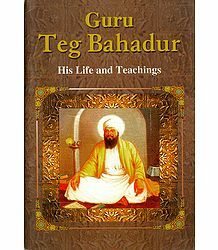 He succeeded his father, Guru Tegh Bahadur, at the tender age of 9. Guru Gobind Singh was a philosopher, poet and warrior. 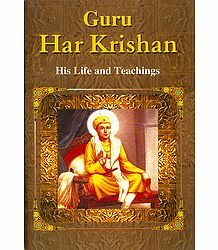 He contributed much to Sikhism, in the sense that he worked to further formalize the philosophy propounded by Guru Nanak. He also initiated the Sikh Khalsa in 1699, then passing on leadership to the last and Eternal Guru, the holy Guru Granth Sahib. 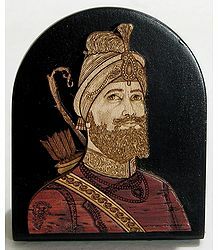 Guru Gobind Singh was born in Patna, as Gobind Rai, to Guru Tegh Bahadur and Mata Gujri. While at Patna, he studied Hindi and Sanskrit. Afterward, he also studied Punjabi and Persian. Later, he married Mata Sundari and they had 4 sons, namely, Sahibzada Ajit Singh, Zorawar Singh, Jujar Singh and Fateh Singh. Guru Gobind Singh stayed for some time at Anandpur, the town founded by his father, after which he shifted to Paonta in Sirmaur. He composed many poems at this time, also helping the army during the wars that raged out there. In the year 1699, he sent letters to all his followers, requesting them to meet together at Anandpur on the day of Vaisakhi, the annual harvest festival. After welcoming everyone in his speech, he pulled out his sword and asked for a volunteer willing to sacrifice his head for him. On his third call, Daya Ram, later known as Bhai Daya Singh, came forward, offering his head to the Guru. The Guru took him inside a tent and then came outside with blood dripping from the sword. He then asked for another head and one more volunteer came forward. The Guru repeated the same with him too. This way, five volunteers offered their heads. Finally, they all came out of the tent unharmed. Guru Gobind Singh poured water into an iron bowl and, adding a sweetener into it, stirred it with a double-edged sword, chanting verses from the Adi Granth. Calling this mixture as Amrit, he gave it to the 5 men. Giving them the name of "Panj Pyare" (the 5 beloved ones), he baptized them as Sikhs of the Khalsa, naming them as Bhai Daya Singh, Bhai Dharam Singh, Bhai Himmat Singh, Bhai Mohkam Singh and Bhai Sahib Singh. The Guru then recited a line, "Waheguru ji ka Khalsa, Waheguru ji ki Fateh", which means, "Khalsa belongs to God, Victory belongs to God". This later became the official chant of the Khalsa. The Guru then surprised the entire crowd by kneeling before the 5 new members of the Khalsa (meaning, "Pure"), asking them to initiate him as a member too. Thus, his name became Gobind Singh. He announced that from now on, the Khalsa would be casteless and would follow no ritual or religion. They would also not believe in superstition, but would believe in One God, who is the creator, protector and destroyer of all. The Khalsa also preached equality for everyone and equal status for women as well. In spite of being messengers of peace, the members of the Khalsa were now also strong people, who were fit to defend the weak and helpless, also to fight for justice. The Rajas of provinces nearby did not like the formation of the Khalsa. They, along with some Mughal rulers, planned attacks on the Guru and his men. However, they were defeated each and every time. Alarmed at the growth of the Khalsa's powers, Raja Ajmer Chand of Kahlur decided to form a royal alliance against it. Several Rajas got together and asked the Guru to pay up arrears of rent for Anandpur and then leave the place. The Guru insisted that this was his own property and refused to abide by their rules. Another battle ensued and the Guru's side won yet again, with the Rajas' armies retreating. Later, the Rajas negotiated a peace agreement whereby the Guru would leave Anandpur temporarily. The Guru stayed for a few days in Basoli and then tried to return to Anandpur. The Rajas tried to make peace with him, but old hostilities cropped up again, resulting in another battle. The Guru won this time too, with his enemies retreating in fear. After a few months, Ramzan Khan took command of the imperial army and rallied with the Rajas to attack the Guru's army once again. This time, the latter lost and vacated Anandpur. The Mughal army plundered the city and proceeded to Sirhind. On the way back, they were attacked by the Guru's army and lost to them. The Guru then returned to Anandpur, also returning the loot that had been seized by the Mughal army. The hill Rajas then asked the Mughal Emperor, Aurangzeb, to subdue the Sikhs and the Khalsa. The Emperor ordered the viceroys of Sirhind, Lahore and Kashmir to fight the Guru's army; also accepting the hill Rajas' help. After an altercation with the Mughal authorities, Guru Gobind Singh said that he would evacuate Anandpur if he was allowed to take his property and treasury outside the city. The Mughals agreed, but tried to plunder the caravan on their way out of the city. The Guru had already expected this and had hid the assets elsewhere. The allied forces were disappointed on not getting their hands on the treasure. 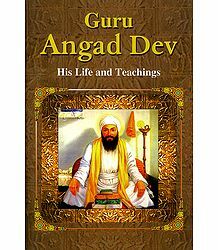 The angered Guru refused to vacate Anandpur and would not accept any other proposal from the allied forces. Finally, Aurangzeb signed a letter, swearing by the Quran, to allow the Guru and his men safe passage, if he evacuated the city. Urged by his followers, Guru Gobind Singh decided to vacate the city. They encountered a great flood while crossing the river in their boats. The Guru lost many of his followers to the floods. Later, the imperial forces attacked the Guru once again. His two elder sons died in the battle. 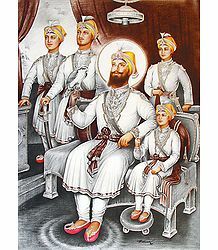 The Guru asked his men to fight till the end, but his followers asked him to keep the men of the Khalsa safe, so that it would survive and thrive in the future. They planned the Guru's escape from Chamkaur, where the battle was raging. 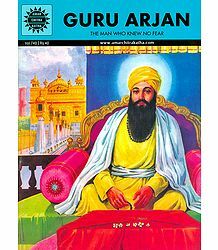 The Guru left with some men, but those that stayed on in the fortress were killed by the allied forces. The Guru, in course of his travel, reached Dina, where he was welcomed by the people. A few weeks later, he received a conciliatory letter from Aurangzeb, requesting him to come to Deccan to start a discussion on the situation. 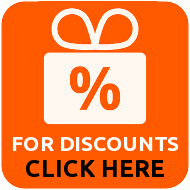 The Guru rejected the offer, writing the Zafarnamah, a letter in Persian, condemning the Emperor for his misdeeds. He then traveled toward Talwandi Sabo. On the way, the group of Sikhs, who had deserted him at Anandpur, was present to meet him and offer their condolences for losing his family and his men to the Mughals. At the same time, the Guru received information that the Mughal forces, led by Wazir Khan, was about to attack them. The group of men decided to fight for the Guru. By sunset, many were seriously injured and even killed. At their request, Guru Gobind Singh blessed those injured as Muktas (liberated ones), also changing the name of the place to Muktsar in their honor. Once in Talwandi, the Guru spent a while there and then traveled to the neighboring villages; also initiating several more people into the Khalsa. Much of his literature had been lost in the floods while leaving Anandpur. He dictated the Guru Granth Sahib to Bhai Mani Singh. Guru Gobind Singh got the news of Aurangzeb's death in October 1707. The Emperor's son, Muazzam, ascended the throne as Bahadur Shah. He invited the Guru for a meeting at Agra and welcomed him warmly, also conferring on him the title, "Hind Ka Pir", or the Saint of India. He stayed there at the palace in Agra for some time, setting up a center for missionary activities in Dholpur. Wazir Khan was unhappy with the Guru's closeness with Bahadur Shah and ordered for the former's assassination. Two Pathans, Jamshed Khan and Wasil Beg, secretly attacked the Guru while he was at Nanded. Jamshed Khan stabbed him below the heart region and the Guru, in turn, killed him with his Talwar (sword). The other attacker was killed by the Sikhs who rushed in hearing the commotion. Bahadur Shah sent a European surgeon to operate on the Guru, but the stitches gave way a few days, when he was tugging at a strong bow. He started bleeding profusely and fell to the ground, singing the praise of the Lord. Guru Gobind Singh declared the Guru Granth Sahib as the eleventh Guru and then left his mortal coil on 7 October, 1708, at Nanded. Both were equally strong, popular and powerful personalities, who commanded a massive following. Both strived to establish the concept of One God and talked about equality among men. Both were social reformers, who also fought for the equal right of women in society. Both Guru Nanak and Guru Gobind Singh were poets and composed hymns, which feature in the Guru Granth Sahib. Both the Gurus worked tirelessly to further the religion of Sikhism. Both founded powerful establishments. While Guru Nanak founded Sikhism, Guru Gobind Singh added to it by founding the Khalsa. Both Gurus traveled far and wide; mostly on foot; in order to propagate Sikhism among the masses. 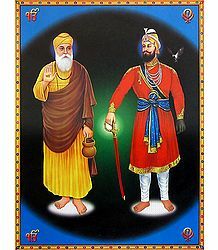 Both the Gurus passed on the legacy of Sikhism to their successor, before breathing their last. While Guru Nanak passed on the baton to Guru Angad Sahib, Guru Gobind Singh established the Guru Granth Sahib as the last and the Eternal Guru. This he did, so that no further changes would be made to the religion. The major difference between the two Gurus is that Guru Nanak chose the path of love and devotion while propagating the religion. While Guru Gobind Singh also preached love, he additionally used the means of war to deal with injustice. Elaborating on the above point, Guru Nanak reached out to God by means of meditation, hymns and songs. He never indulged in any form of hostility. 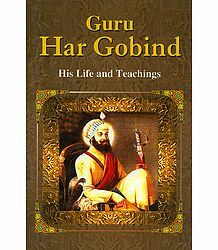 Guru Gobind Singh propagated peaceful living, but also strongly believed that one had to learn to defend oneself against external physical assault. Guru Gobind Singh truly gave rise to the era of Saint-Soliders, who never fought for their personal gain, but wielded weapons only to reestablish justice. He established the Khalsa (meaning, "Pure"), so that he could train his followers to stop another person from unnecessarily attacking them. The Kirpan, represented by a knife or sword, is actually the Hand of Mercy, which also knows to shelter and protect weaker people in their time of distress. Guru Gobind Singh also taught his followers, by setting an example himself, to unflinchingly sacrifice their lives for loved ones. While two of his sons were martyred while fighting with the allied forces, the other two were buried alive in a wall. However, the Guru continued to fight against crime and injustice till his last breath. Though there are ten physical Gurus of Sikhism, they are all essentially the same soul manifesting in different bodies. In fact, that is the reason why they are all referred to as Nanak. It is said that Guru Nanak had prophesied that he would take 10 different forms and also that one of those forms would create a revolution called the Khalsa. A Sikh literally means, "Student". Sikhism therefore encourages followers to remain a student throughout their lives; learning about God; yearning to reach the Ultimate Truth. A true Sikh is both a saint and a soldier. 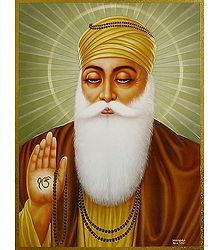 While in meditation and in the service of the needy, he represents the aspect of Guru Nanak Dev ji. But when it comes to fighting injustice and defending the weak, he automatically becomes an aspect of Guru Gobind Singh ji. Hence, both Guru Nanak and Guru Gobind Singh are equally important to the philosophy of Sikhism, not only as a religion, but also as a way of life!